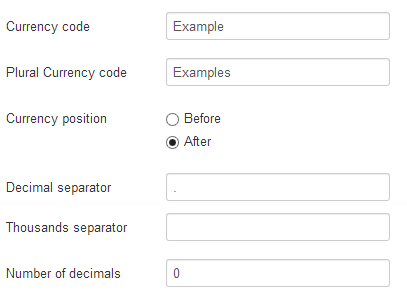 In the configuration page, you can create your virtual currency by completing the fields 'Currency'. By default, some fields are pre-filled. The default currency name is 'Credit' with no symbol.